As our pre-wedding photography date approaches, rif started shopping for his stuff and dragged me along to help. There’s nothing much I need on my end, since most of my items will be recycled from my pageant days (shoes, make-up, hair extensions etc). 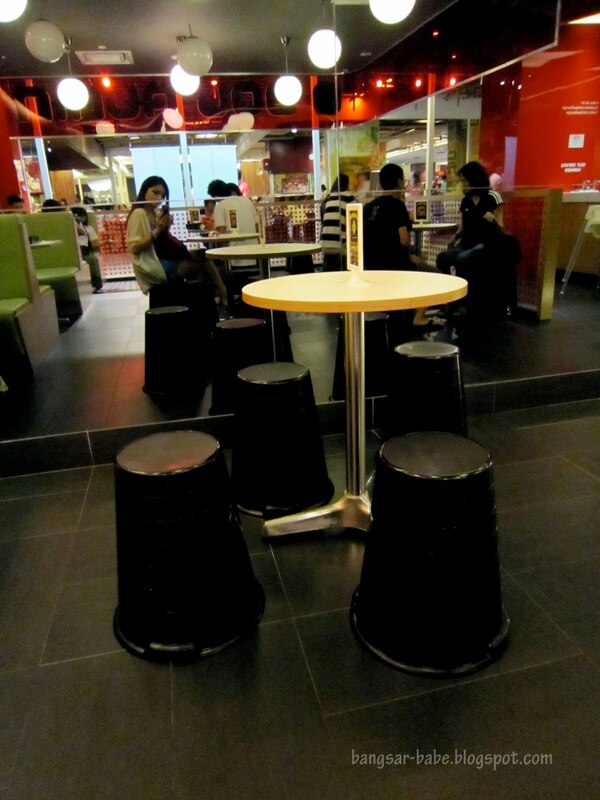 That weekend, we were in Mid Valley looking for the perfect tie. And after scouring around the whole of Mid Valley Megamall and The Gardens, he didn’t find a tie he liked. I was feeling a bit grumpy as shopping is my least favorite activity on a weekend. But a break at Ninja Joe fixed it. 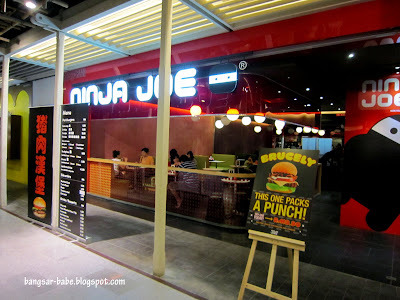 Ninja Joe has been around for a while, but it was our first time trying it in Mid Valley. The outlet serves pork burgers, with interesting side dishes such as shuriken and tanto. If you happen to be named “Joe”, you get RM1 off your meal. But you have to show them some I.D, of course. 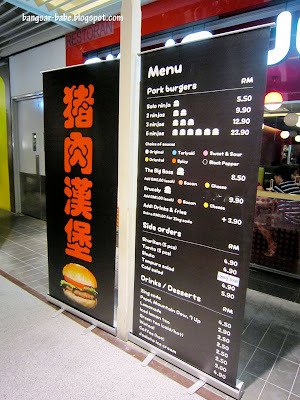 For an extra RM3.90, you can add fries and a drink to your burger. rif went for The Big Boss (RM8.50), with cheese and bacon (extra RM1 each) and I had the 3 Ninjas (teriyaki, black pepper and original). 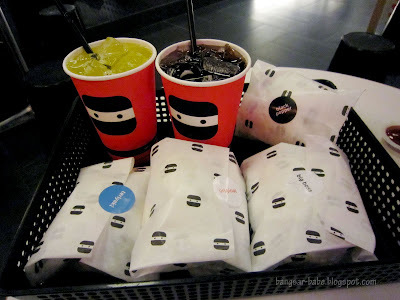 We decided to skip the tanto and shuriken, as there were 4 burgers (albeit 3 small ones) to finish. 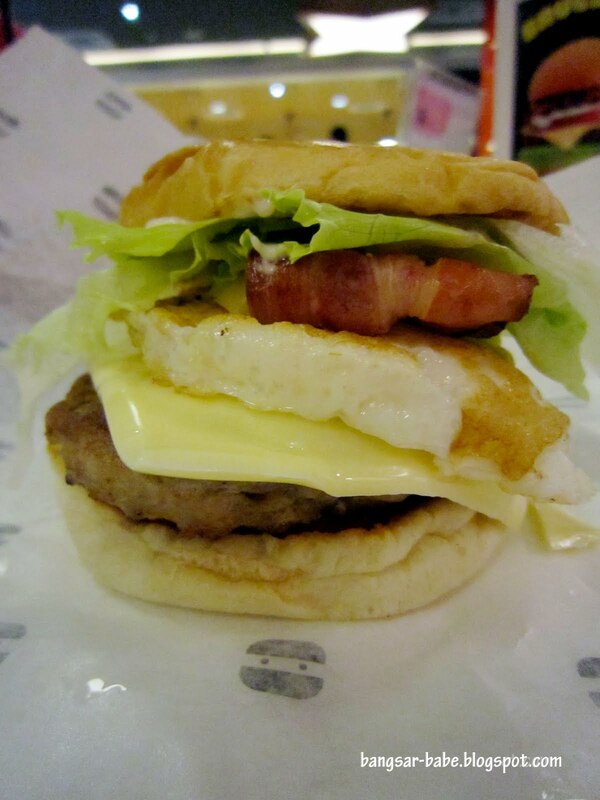 The Big Boss was pretty good stuff — pork patty, onion, tomato, lettuce, egg, cheese and bacon, all my favourite items in one bite. I liked this better than my burgers, but rif preferred mine. 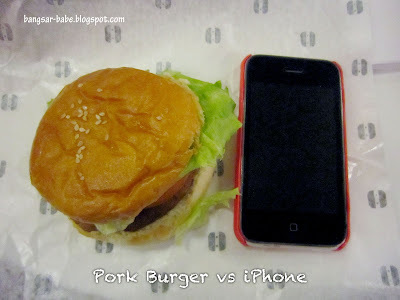 He found my burgers porkier than his because they comprised only pork patty, a slice of tomato, lettuce and bun with a bit of sauce. 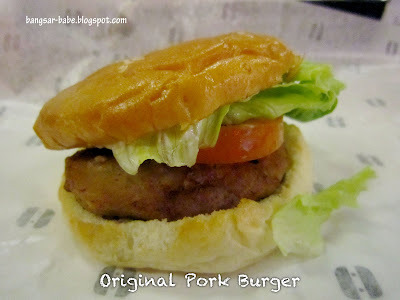 Of the three flavours, I liked the original burger best as the porkiness of the patty was most pronounced. 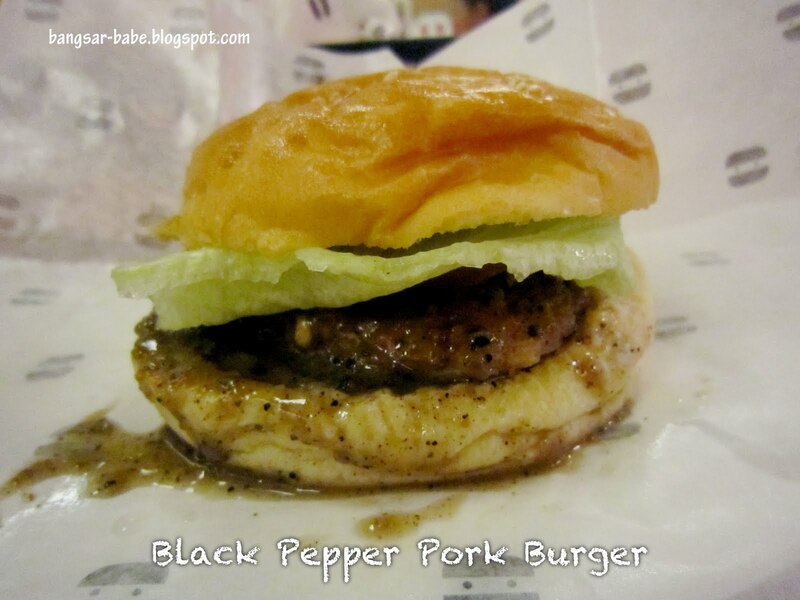 The black pepper burger was mildly peppery while the teriyaki burger has a honey-like sweetness. The latter was my least favourite. We didn’t care much for the fries, as they were fried in old oil. I plan to go back soon for the remaining three burger flavours and the Brucely burger. Oh, and also for the tanto and shuriken! 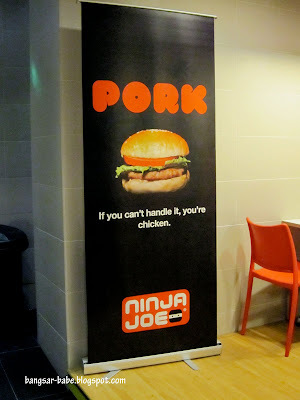 Verdict: Pretty good pork burgers, fast-food style. 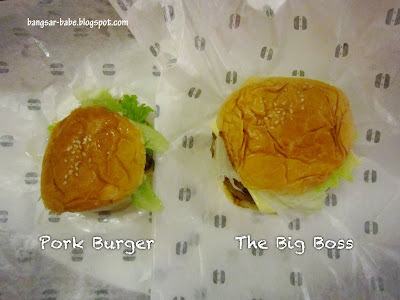 Great breakdown of the Boss burger! 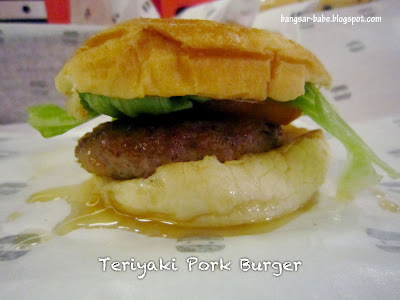 We usually go for Original and Teriyaki sauce..havnt bothered venturing to the others yet. Shurikens are nice and we have them regularly too, but dont go near the tanto!! 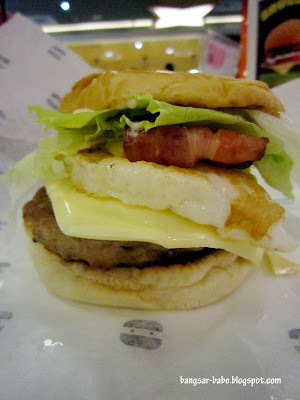 It was so bad for us we couldn't even finish it. 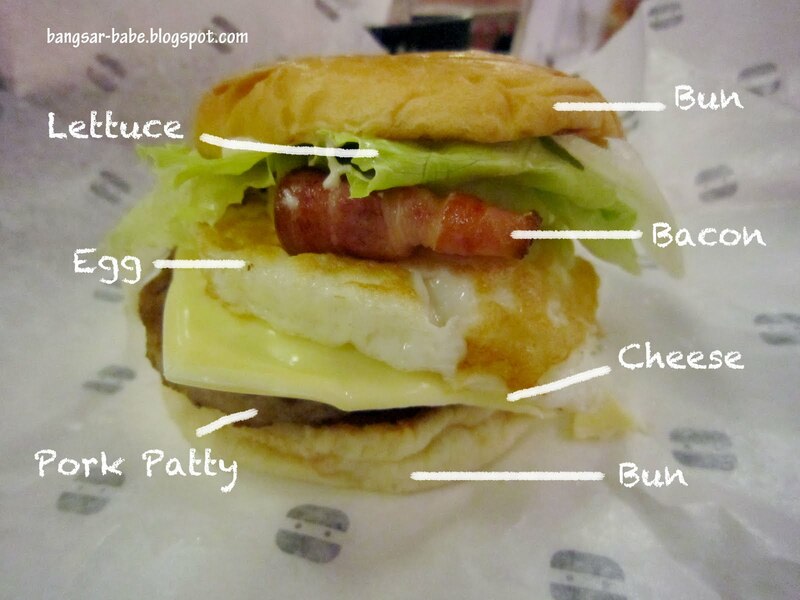 there's lots of filling but the bun looks sad. i prefer wholemeal buns. Did you not find the fries the best version of crinkle cut ever? 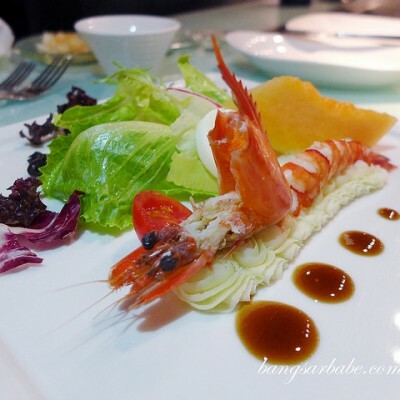 I was taken aback, pleasantly! Michelle – The bun is the usual fastfood variety. Yeah, wholemeal buns have more bite. You should have tried the shurikens.